IAB Australia and Nielsen today released Nielsen’s Mobile Ratings Report, the first step towards releasing the industry-supported smartphone and tablet audience measurement for the Australian market. It follows on from the pilot work completed in 2014 by IAB Australia, the digital industry and Nielsen to build quality panels to measure smartphone and tablet users. 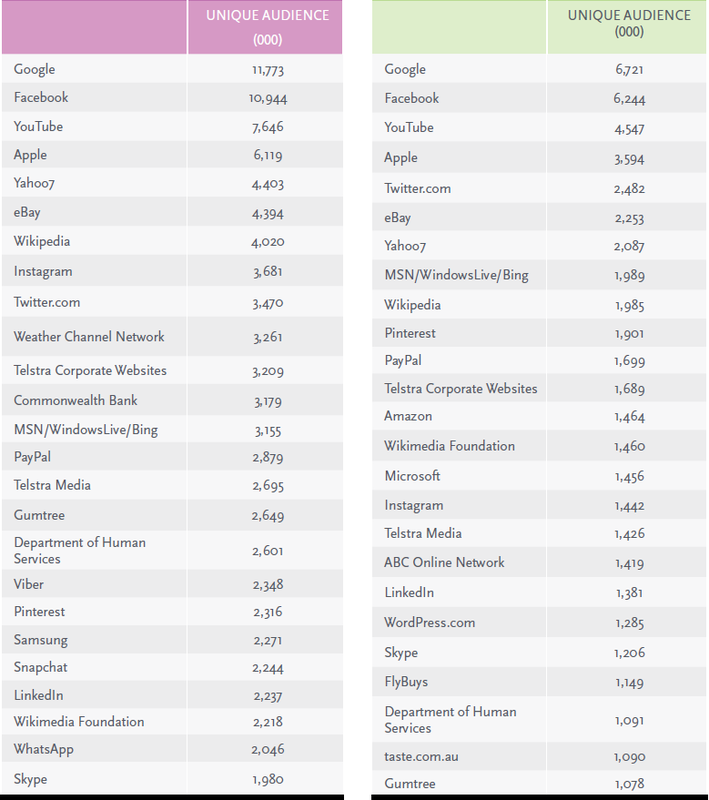 Google and Facebook are the leaders in both smartphone and tablet rankings with a number of other global brands being very high in rankings. 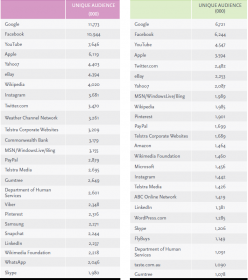 Local companies also feature strongly with Yahoo!7, Telstra, Fairfax, Coles, Commonwealth Bank and News all ranking highly.